The HTML5 canvas element is defined as a “resolution-dependent bitmap canvas, which can be used for rendering graphs, game graphics, or other visual images on the fly.” In other words, it’s a rectangular area you can place on your website that can contain lines, shapes, images, text, animation, games, etc… Think of it like this: You’re probably familiar with flash-based games and web tools. The canvas element is very similar, but doesn’t need flash. Anything placed on that grid is positioned relative to the top left. So, if I wanted to place an image 100 pixels away from the top and 150 pixels away from the left side, the coordinates would be (150, 100). Now that you understand how the canvas grid works, let’s put something inside of it. The parameters in each function should be pretty self-explanatory. 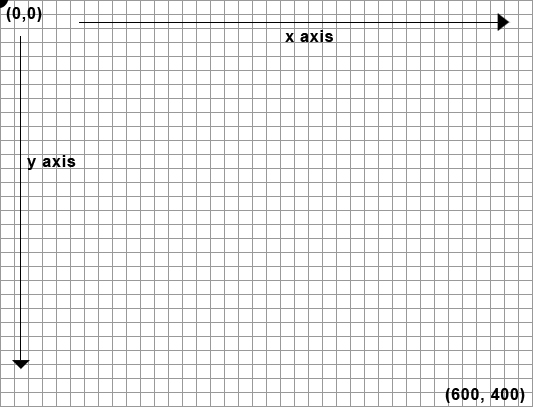 The x and y parameters position the rectangle in the canvas (see the grid above). The width and height specify the rectangle dimensions. The first line names and creates the function. The second line tells the function which canvas it needs to alter. The third line tells the function that it is drawing in a 2d space. 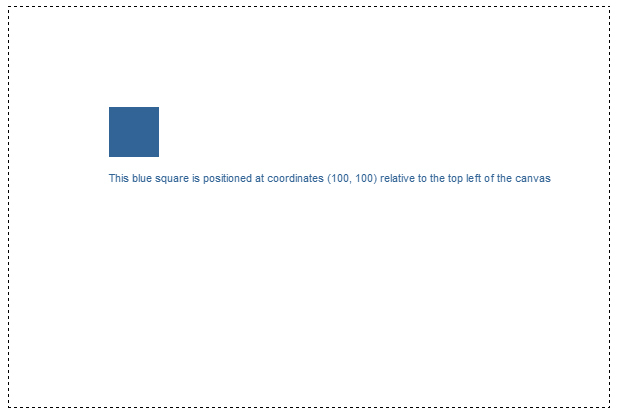 The last line tells the function to place a 50×50 rectangle in the canvas 100 pixels from the top and 100 pixels from the left. Feel free to copy the code listed above and play around with the canvas element on your own! The canvas element is used for much more than drawing rectangles. In fact, there is already a website dedicated to applications, games, tools, and tutorials for it. You can check it out here: http://www.canvasdemos.com. You will be surprised when you see everything that is possible…I know I was. That code is ignored by every other browser except IE 8 and prior. It tells IE to download and execute the script. The script gives IE the ability to support the canvas tag.